Rebecca Mast: THE RETURN OF MOUSSAKA!!!!!!!!! 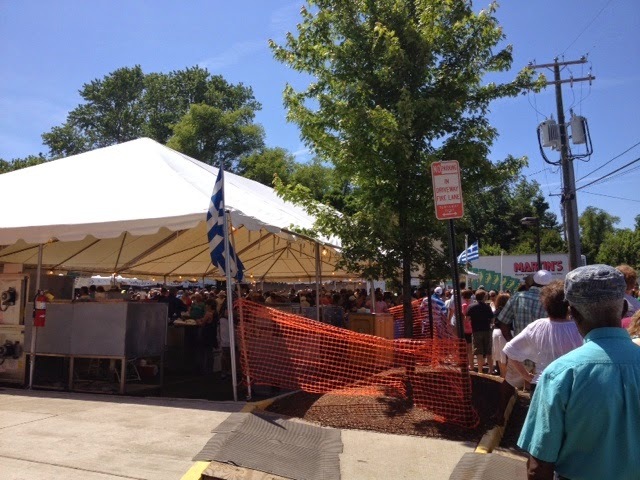 Today I went to the Richmond Greek Festival with my aunt and her boyfriend. We waited until around 2:30 to go, hoping that there would be fewer people there, but we still ended up waiting in line and we just spent a longer chunk of the day being hungry. But that's okay! The line moved quickly, and we got our food. The menu had all kinds of Greek entrees, most of which I can neither pronounce nor remember how to spell. But which entree caught my eye and earned a spot on my plate? If you followed along with my adventures abroad last summer, you'll remember that I fell in love with my host mom's moussaka in France. If you didn't, you can catch up on those blog posts here, here, and here. I was kind of excited to get to have moussaka again and to see how my host mom's dish compared to authentic Greek cooking. My two moussaka experiences were actually very different. It's been a while, so I'm not sure I have the details right, but I remember my French host mom's moussaka consisting mainly of eggplant slices, tomato sauce, and cheese. The moussaka I got at the Greek Festival still had eggplant, but there were some very different other ingredients in it. For example, it had ground beef. Again, I could be wrong, but I don't remember my host mom's moussaka having any meat in it. There was also a layer of something in the Festival version that reminded me of mashed potatoes but was decidedly not. The most noticeable difference was that my Festival moussaka had cinnamon in it. I thought it was a little weird, but I was starving, and I gobbled it right up. It wasn't until I revisited the leftovers later in the day that I decided that the cinnamon is too weird for me and I prefer my host mom's moussaka over the authentic Greek dish. How do you think the festival workers would react if I bought moussaka tomorrow and asked them to make it a little more French? But moussaka is moussaka! It was still pretty good, and I was glad to have it. I also had some kind of cheesy pastry which was tasty if a little rich, as well as a side dish of green beans with tomatoes in it. I ate the green beans without complaint. They were fine. Nothing really to write home about, but they didn't offend me in the least. All in all, a tasty and satisfying meal. I got to sample a bunch of different Greek desserts. To sum them up in one sentence, I would say that the desserts were very sweet, and none of them had chocolate. There was baklava and other pastry-like things with honey or powdered sugar or almonds... all with Greek names I don't remember (I am sincerely sorry). I got something that looks like cheesecake except there's kind of a flaky crust on top and bottom, both crusts appearing to be drenched in honey, and the inside is extremely soft and quite sweet, although it has kind of a weird texture. I don't mean to give the impression that I'm turning my nose up at all this Greek food. I'll admit, my experience in food is fairly limited to a few select cultures, and there's a lot of stuff out there that I've never tried, so my taste buds aren't exactly programmed to immediately enjoy new things. 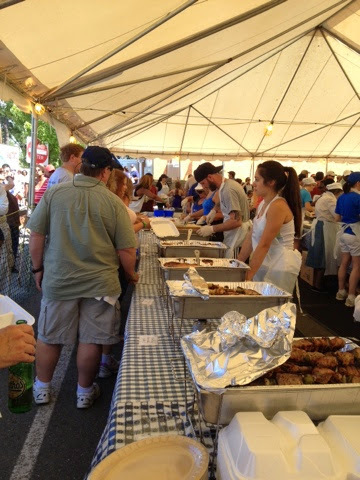 But my official stance on food is that I will try anything once, and I tried a bunch of different food from the Greek Festival. While it wasn't food that I would choose to eat very often, I did enjoy it, and I'm very glad we got the chance to go. The atmosphere was kinda fun, too. There was music, and I heard rumors of dancing. We didn't stay and eat at the Festival; my aunt's house is only a short walk away, so we walked over, grabbed some food, and walked back. And I need to mention that I was eating a Greek yogurt popsicle on my way back. Because it was delicious. And strawberry-flavored. Made with real strawberries, too. Honestly, I don't know how I forgot to mention the popsicle earlier. It might have been my favorite part of the meal. I probably forgot it because I ate it so much earlier than I ate the other parts... but it would have melted if I hadn't eaten it first! Also deserving of mention is the fact that I saw a car with stickers from my university at the Festival. That was really, really awesome. On the first day I was here, I saw a car with stickers from my university's rival, which was kind of a "What the heck? What are you doing here?" moment. 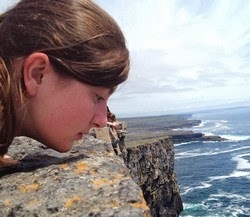 I began to wonder if perhaps I wasn't alone in Richmond, if maybe there were others like me. If one of my rivals lives here, then why not some of my own people, too? And today I found them. And it was definitely a Roll Tide situation. According to wikipedia: http://en.wikipedia.org/wiki/Moussaka, Moussaka in Greece usually contains a minced meat in addition to the eggplant.